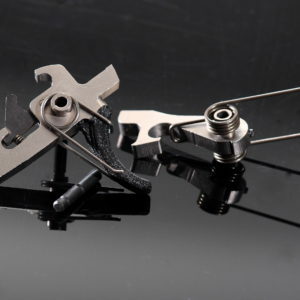 Upgrade trigger pack gives a 2-stage trigger with lighter, smoother pull, and a sharp break. 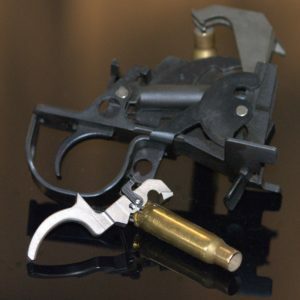 Match trigger performance on a tactical trigger. New sear pack for a 30 second swap. 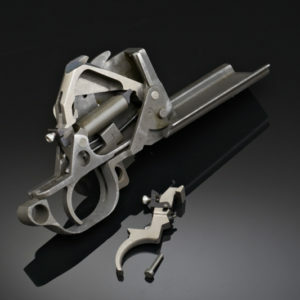 All parts are ‘drop-in’ with zero modifications. 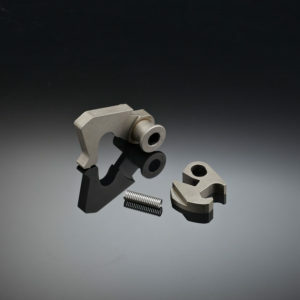 – Trigger parts are CNC machined from rolled plate tool steel (RPS), not cast, and full depth heat treated. High quality steel holds sharp sear edges that will ‘break like glass’. Price TBD, once I get the fist few made. 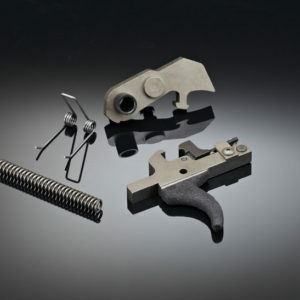 I have your TAV-D trigger in my Tavor and it completes the rifle! The MDR is a more advanced platform with truly ambidextrous controls and firing positions. But just like all Bullpups, it could use a better trigger. And I’m looking forward to completing my MDR with a Shooting Sight trigger!